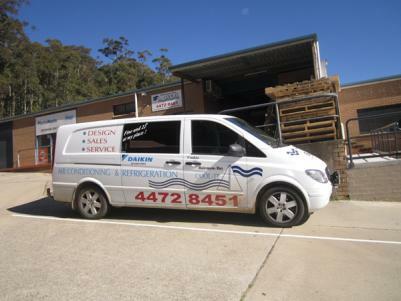 Batemans Bay Cool It has been serving the NSW South Coast community since 1977 and has been owned Jeff and Jeanette Cook for the last 20 years. They specialise in all aspects of Air conditioning and commercial refrigeration. From system and sales through to professional installations and servicing, they have a solution for you. From industrial and commercial air-conditioning through to air conditioning your home we have the experience and know what will be needed to achieve the specified results. We also design, sell, install and maintain commercial and industrial air conditioning systems and have the latest equipment for commissioning and balancing of your existing system. For trouble shooting, re-design existing layouts for airflows, and getting the most efficient running of your system, while providing comfortable living and working environments. Give Batemans Bay Cool It a call for your air conditioning solutions.